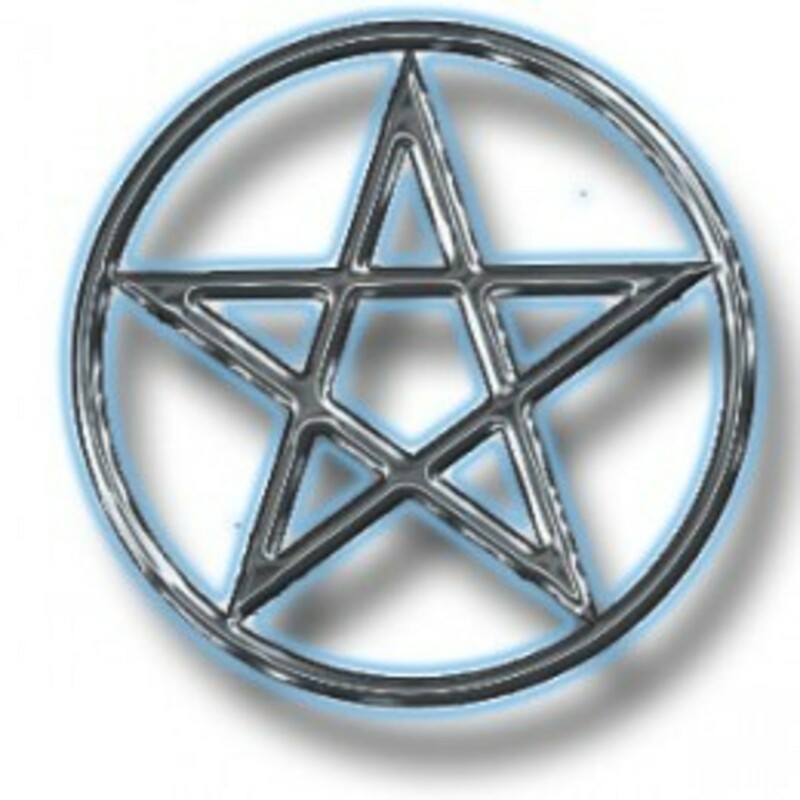 Wicca and Paganism are frequently used interchangeable, but they are not exactly the same thing. The reason there is confusion is because Wiccans are also Pagans… but Pagans are not always Wiccans. There is also confusion because the biggest branch of Wicca is Eclectic (non-traditionalist, non-lineaged) Wicca. So how does one know if one is an Eclectic Wiccan or an Eclectic Pagan? Some would argue that ‘real Wiccans’ must be initiated into a lineaged coven. I would argue that those people are flat-out wrong. But I still see a clear difference between Wicca and Eclectic Paganism. Let’s have a look. But first, let’s clear up a few mistakes. What's the Difference between Wicca and Paganism? Does that come as a surprise to you? Before you protest, please read on. Gardner never called his religion ‘Wicca’. He called it ‘Witchcraft’. If you were initiated, you were called a ‘Witch’. He also occasionally used the term ‘of the Wica’, which referred to both initiates and non-initiates in Gardner’s time. This was common in the early decades as his religion formed. 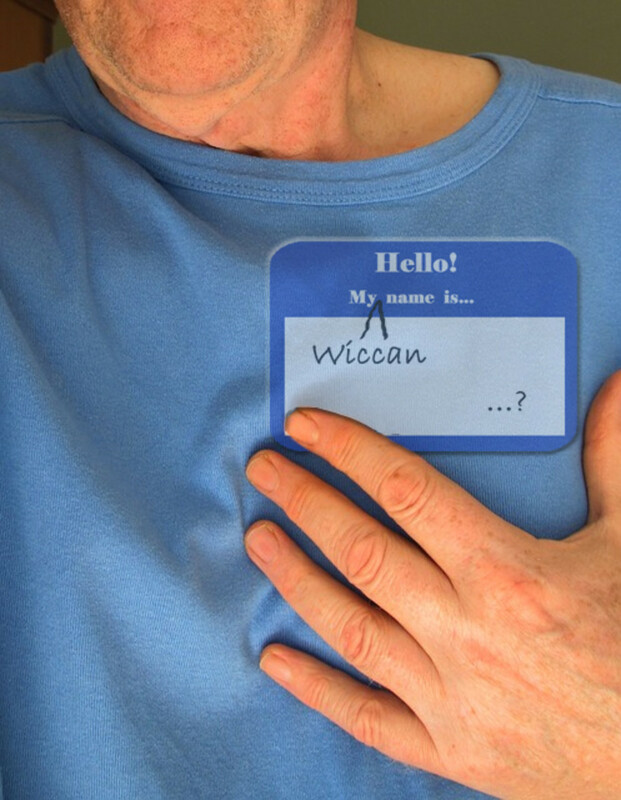 The word ‘Wicca’ was hardly ever used at all. 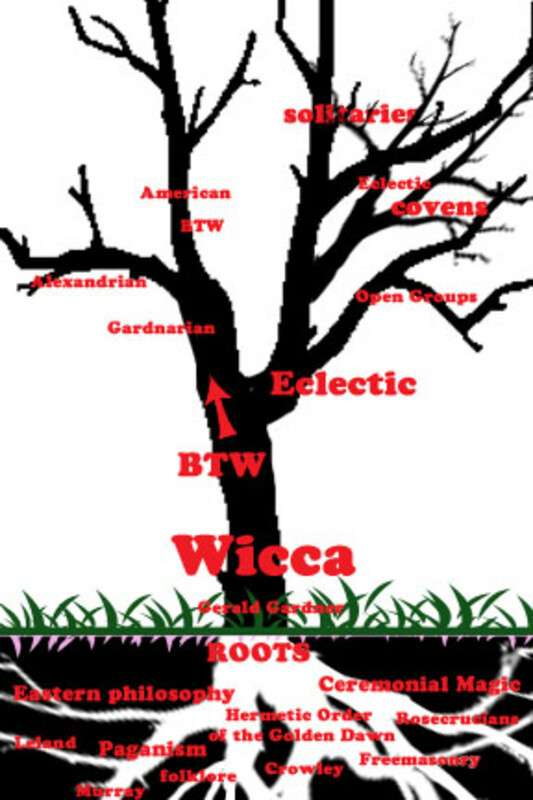 When traditional British Traditional Witches (or BTW; people initiated into oath-bound covens who could trace coven lineage to Gardner) started using the words ‘Wiccans’ and ‘Wicca’, guess who they were talking about? They were talking about the non-initiated Witches and Pagans who practiced outer-court teachings. Anyone who claims the uninitiated are ‘not real Wiccans’ are ill-informed about the origins and terminology of their own religion. I’ll give you that Wiccans aren’t BTW without BTW initiation. But the truth is, Eclectic Wiccans have more of a right to the word ‘Wicca’ and ‘Wiccan’ than BTW’s do. So when I refer to ‘Wiccans’ I refer to both inner and outer court practitioners of the religion Gardner developed. Paganism isn’t a religion—it’s called an ‘umbrella term’. That is, it’s a term that covers a whole bunch of different religions. Ancient religions (most of which died out at some point in history) are the original Pagan religions. They would not actually have described themselves as Pagans—the word was actually a derogatory term. It's from the Latin Paganus and basically from the word 'peasant' or 'country dweller'. Calling someone a Pagan was basically saying 'worshiper of false Gods’ in those days. As the word developed it came to mean any non-Abrahamic religion-- if you weren't Christian, Jewish or Muslim, you were 'Pagan' of some sort. In the Victorian and Colonial eras, ancient Paganism was romanticized and eventually that sparked the 'Pagan revival'. People began worshiping the old Gods again, or began adopting some ancient religious practices, and proudly embraced the term ‘Pagan’. So Pagan is pretty much a broad term. People who identify as Pagans usually follow a reconstruction or reinvention of an ancient religion, or they follow a modern religion that draws upon some of those ancient religions. 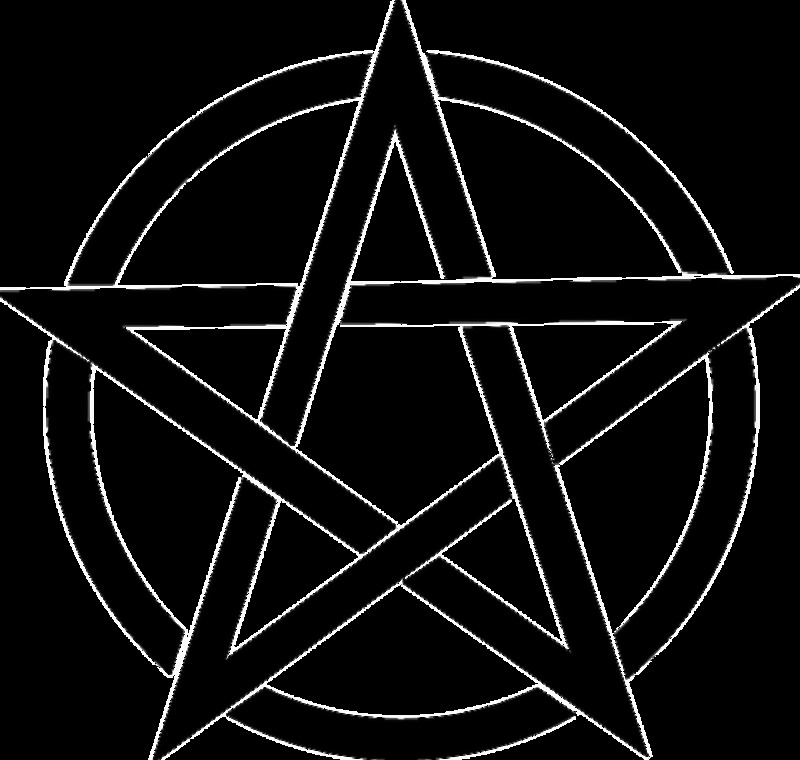 Wicca is a modern Pagan religion—that is, a Neo-Pagan religion. All Wiccans are Neo-Pagans, and so all Wiccans would fall under the umbrella of Pagan. And Where Does Witchcraft Fit In? Wicca and Witchcraft- Which is Witch, What’s What? Eclectic means ‘taking from multiple sources’. Most Pagan religions are eclectic these days, because few of these systems remained intact and work in their entirety in this day and age. Unless a religion is strict Reconstructionist and has the evidence to back up that their practices come exclusively from one ancient source, it is eclectic to some extent. Eclectic Pagans are Pagans who don’t adhere to any specific, strict Pagan religion. They draw from multiple sources. They may be influenced more by one source than the other, but generally when someone says they’re an ‘eclectic Pagan’ it’s like saying you’re a non-denominational Christian—you are a rouge of sorts. You identify with Pagan religions, and with the beliefs found in the Pagan community—but you don’t follow any specific one. Here is where things get confusing. Wicca is an eclectic Pagan religion. From the start, Gardner built BTW drawing from numerous sources: ancient Paganism, Pagan and Witch folklore, Freemasonry, Ceremonial Magic, Eastern philosophy—just to name a few. So Wicca, in itself, is an eclectic religion. Within Wicca (as I mentioned), there are 2 main branches: BTW and Eclectic Wicca. Both are actually eclectic. However, Eclectic Wicca is a bit more eclectic and a bit more personally driven than traditional BTW. So what’s the Difference between Eclectic Wiccan and Eclectic Pagan? Thus, we come to the crux of the matter. The truth is, the lines here are a little blurred. But if you know what to look for, you’ll see them. 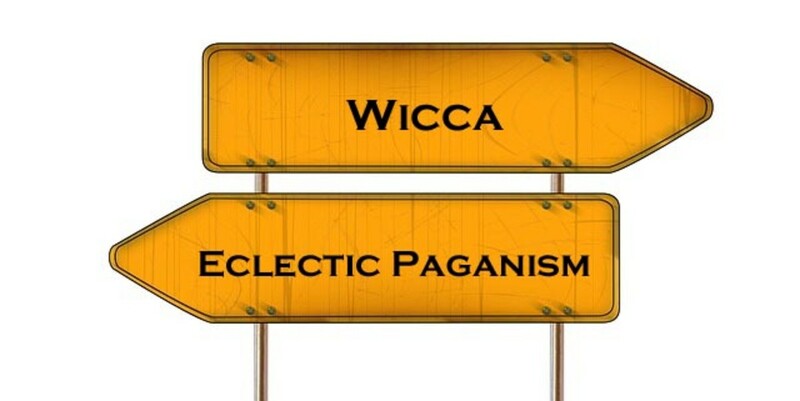 In a nutshell, the biggest difference is this: Wicca is a specific religion… while Eclectic Paganism is not. Not that there is anything wrong with eclectic Paganism at all. But your religious practices are personal and draw from your own devices. It’s a general religion in that you are really the only practitioner of a system of your own invention. Wicca is a specific religion in that it is an established religion generally accepted by a community of autonomous groups and individuals adhering to a similar structure (even if non-dogmatic and not organized). It’s polytheistic, or at least duotheistic. Wiccan generally focuses upon patron deities, personal experience with deity, and worship generally revolves around at least one God and at least one Goddess. The emphasis in Wicca is on balance, mainly in the interaction between the masculine and the feminine (and all they are symbolic for). They are seen as complementary (rather than opposing) forces in nature. 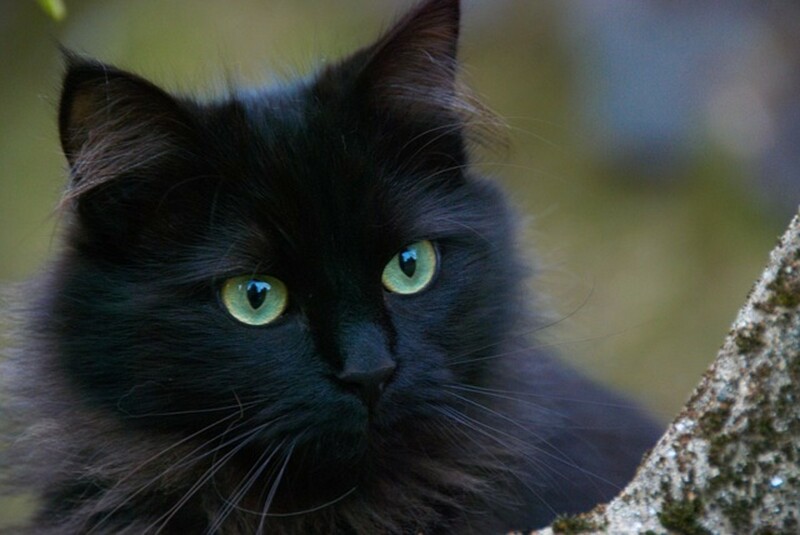 Wicca is ideally about striving to live in harmony with the world around you (both in nature, as well as other humans). There are no arbitrary rules of behavior in Wicca. Morality is Wicca is most often seen as subjective rather than objective—we are encouraged to always ponder and think about the ethics and morals of our behavior in terms of the situation. Wiccan liturgy generally encourages us to take responsibility for ourselves, try to avoid doing unnecessary harm and think about the consequences of our actions (or inactions). Wiccan ritual structure, influenced by Ceremonial Magic, generally involves a specific set of tools (each of which have symbolic meaning) and certain rites (such as casting a circle, invoking elements, the Great rite, etc.). 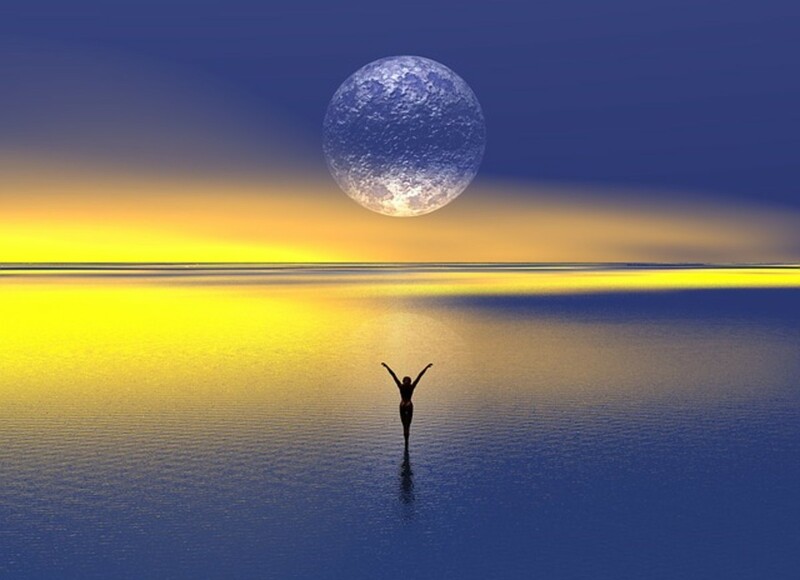 Wiccans generally observe the cycles of the moon and sun, and time their rituals by them. 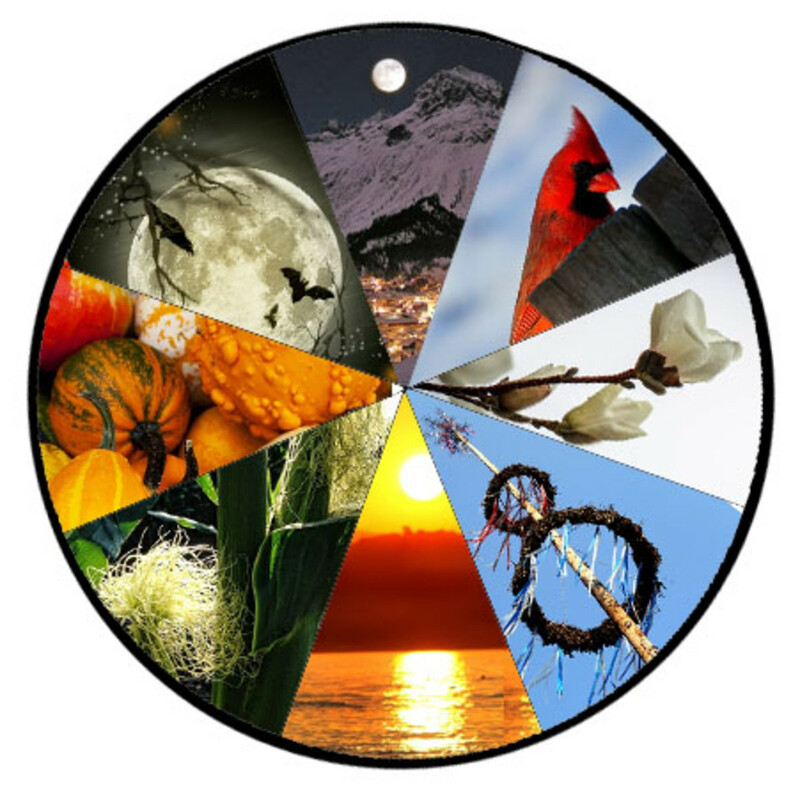 Wiccans generally celebrate eight sabbats on what is known as the Wheel of the Year (which is an originally Wiccan construct-- not an ancient calendar). Eclectic Paganism, on the other hand, has no key defining factors other than falling somewhere under that loose, broad Pagan umbrella. Again—nothing wrong with that. Some people will get far more out of forging their own path than following in the footsteps of others. Granted, there can certainly be overlap between eclectic Paganism and Wicca. Eclectic Pagans and Wiccans can borrow from the same sources. Eclectic Pagans can even borrow from Wicca. But when you move further and further away from a certain place, eventually you’re just not in Kansas anymore. Quiz: Are You Wiccan or Eclectic Pagan? 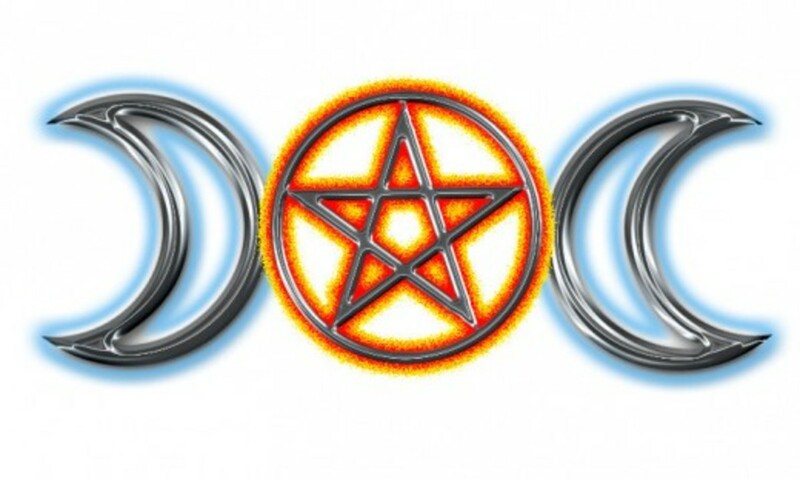 Why Is It Important to Distinguish Between Wicca and Eclectic Paganism? If we don’t make distinctions, then we’re simply going to have 2 terms for eclectic Neopaganism, and Wicca as we know it will cease to exist as a specific religion. If we keep trying to pull the blanket to cover everything, it’s going to rip to shreds. Wicca is non-dogmatic, and because there is no central authority, it’s even more important to hold on to at least the core of central concepts together, even if loosely— or else, it falls apart. I’m just hoping that doesn’t happen. Personally I like modern creations, lol; I can only relate so much to 2200 year old paths that we (as you've pointed out) have little info on.... so a modern religion that is inspired by and influenced by some of those older concepts we know of, but that have been reworked to relate to modern day is very up my alley and works for me. Our ancestors were practical people. They didn't try to do things because of some romanticized notion of the past; they did what works for them. They were flawed. They could be cruel (ruin their environment, attempt genocide, misogynistic behavior, etc.). I find it hard to blame all this on monotheism since it all existed before monotheism. Many did worship Gods-- worship means 'to revere' or to 'express reverence', so we don't disagree here -- but they worshiped the Gods in a way that made sense in their time/place/understanding of the world. Likewise with their rituals, rites, traditions, ethics, etc. I think we have to do the same. I am much more of the 'reinventionist' mind than the 'reconstructionist'. Paganism is a philosophy and has nothing to do with religion. The main hallmarks of Paganism are the belief that all things contain spirit and that all people are fully responsible for their own spiritual enlightenment. This fact is explained in one of the books promoted above. It’s doubtful that anyone practicing today actually has any real information that has been handed down. Wicca... all of it, is a throughly modern invention. As is religion itself. When I say modern in that context i’m talking the last 2200 years or so. “Religion” as we know it today really began to take shape with the rise of the Roman Empire. Up until that point, each distinct civilization had their own set of beliefs but it wasn’t viewed as a religion. It was more of a way of being. They did not worship their gods, contrary to popular belief. They revered them, they respected them. They were extensions of the people themselves. As humanity became more mobile and began to conquer other areas with established community so came the switch from reverence to worship of whatever group was in power. It was slow process towards the development of monotheism and organized religions we know today and in general arguably the downfall of humanity. Interesting. According to your quiz, I lean towards eclectic paganism. I am just learning about Wicca, and what attracts me are the beliefs and the ethics, not necessarily the rituals and the tools. I am very low church, to use a Christian reference. Thanks Kevin Murphy, I'm glad you found it useful! Hi Thomas Swan; I think you bring up a good point on labels. They certainly shouldn't define us, and the real lessons do come from within. But I still think it's helpful to have a common vocabulary and keep it somewhat accurate, so when one is looking it's easier to find what one needs. Reminds me of my husband when I met him. He had a habit of labeling everything 'stuff'. When we used to have floppy disks, we had 20 disks of 'kids stuff' and 'work stuff'. When we moved, his boxes were packed '(name)'s stuff.' This made it very hard for me to sort through it all, and I was always going round in circles looking for things. So I'm a firm believe that labels have their uses, even though we shouldn't be a slave to them. Thanks Mel, glad it helped. It's one of those things that a lot of people don't think about, or take for granted and use they synonymously. Thanks for stopping by! I really got a lot from this hub! thank you so much. I'm not a wiccan or a pagan, but I am sympathetic to their beliefs. This was a very informative hub and taught me many things about these religions that I did not know. This is an interesting look at how definitions are misunderstood or used incorrectly. I think the problem is how the definition of Paganism has drifted over the centuries towards Wicca, witchcraft, and so on. As you rightly say, Paganism is an umbrella term including many religions past and present, including the Greek and Egyptian religions. Still, I think most of us are too concerned with labels. We all seem to gravitate towards words that can establish one's identity... shortcuts to finding out who we are. We look outside ourselves rather than within; and what we find is usually what we want for ourselves rather than what we are. I just love this hub, Sage, and really enjoyed taking the quiz. This is such great information to have at hand and it really clarified some things for me. Thank you very much. Thanks Takkhisa, thanks for commenting! Hi Dr. Bill-- thanks for your comment. I know it's not a popular opinion these days but I've always been a label fan... ever since the first time seeing the Miracle Worker and thinking about how important names are, lol. I don't think it matters what we label ourselves, one is not 'better' than the other, but it aids communications if we both mean the same thing when we use a word. Thanks for stopping by! This is something new for me that I have learned reading your hub! Thank you. 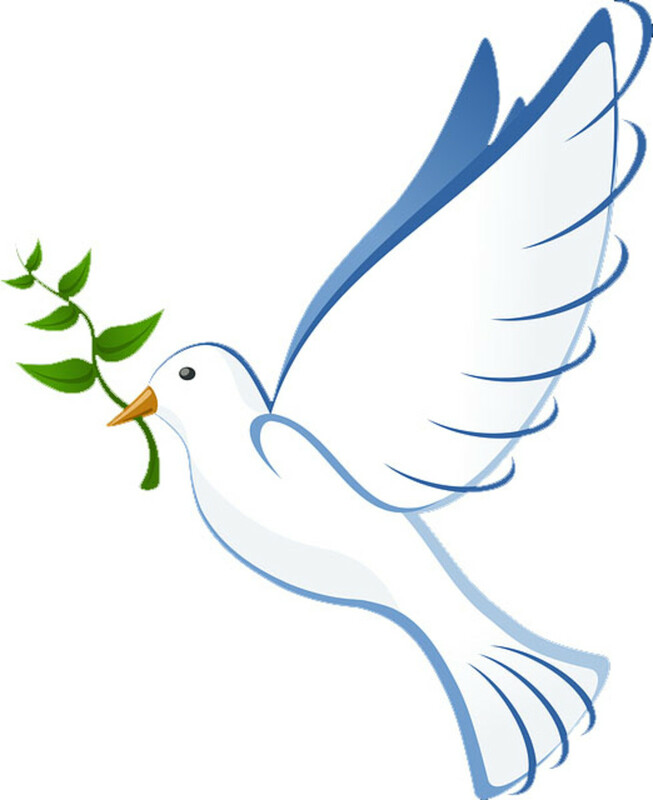 Hi MizBejabbers; I agree, Hubpages has been a wealth of resources for me to learn about different beliefs. It's such a cool and supportive community. Thanks! Thanks heidithorne; I grew up Christian, and was taught the same thing. I thought there was Christianity (the 'good' religion), Judaism (not bad but misguided for missing Jesus) and everyone else were evil Satanic cultists. I had no idea there were so many different religions until my late teens, and I now have such respect for many different ones (including Christianity, even though I've converted). Thanks for your comments! Thanks social thoughts! I know what you mean, I get into debates all the time about morality, and how without a strict set of rules that we must be immoral. I frequently point to Kohlberg's stages of moral development and remind people that doing things based on fear of punishment/desire for reward is the lowest moral reasoning stage. Thanks for commenting! Good explanation, Sage. I like the idea that HP gives a place to voice non-Abrahamic beliefs. I've been called pagan, heathen, witch, "you're not a Christian", etc., Now I know I can call myself an eclectic spiritualist. I never really realized there was much difference. Growing up in the Judeo-Christian tradition, anything that wasn't J-C, was pagan and, therefore, bad. Luckily, over the years, I've had enough contact with many other spiritual traditions to appreciate their origins and tenets. Thanks for clarifying! Voted up and interesting! Well done! I love how freaked out people get about paganism because it's not about strict rules. I love getting people to realize how much they depend on being told what to do, believe, think, etc. while not realizing they have complete control over those things! I love being pagan because of that freedom, too. Blessed be! Thanks OldRoses... I use both terms as well, depending on what I think the other person will understand better. Plus my husband is Eclectic Pagan and we would just usually identfy as a 'Pagan family'. Thanks for your comments and votes! Thank you blbaird, I appreciate your comments. Thanks Billy, that's very kind of you to say! I'm Wiccan but when asked about my religion, I say pagan because of the negative connotations surrounding witches and witchcraft. Pagan is a safer term to use because it is much vaguer and has fewer negatives associated with it. I'm going to bookmark this hub and refer others to it. Voted up and shared. Thank you for clarifying this. Good info, but then that's what I expect from you.